Amazon's one amazing feature known as the Amazon Instant Video which providing a huge collection of movies and TV shows online. These videos can be purchased as well as rented. It is available on Windows, Andriod, iOS, Mac, PlayStation 3/4, Xbox 360, Wii and many more. Users who have subscribed the membership of Amazon Prime can have the facility of streaming up to 40000 movies and TV episodes for free. However, besides streaming, there are some Amazon users who prefer to save those videos for later viewing. In addition to using some streaming video downloaders which can download the Amazon videos for offline watching, recording the videos directly is also a popular way most people would prefer. In the following post, we'll show you the key to this as well as the complete guide on how to record and save videos on Amazon Instant Video for later watching. Joyoshare Screen Recorder is one of the most advanced screen recording software for Windows. 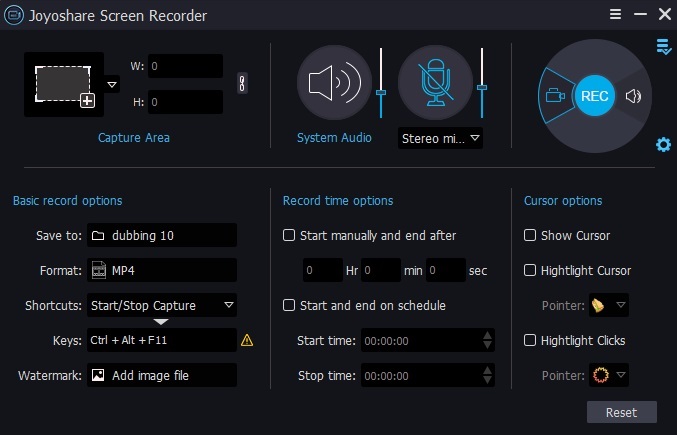 Its easy-to-use interface and professional recording features make it a perfect screen recorder for recording any audio or video activity on computer desktop in HD quality. It has the most advanced screen capturing technology which enables you to record the live streaming videos, from Amazon Instant Video and other sites with only a few clicks. Under the help of this smart video capture, you can record and save the Amazon videos in any format you like, such as MP4, MOV, SWF, FLV, WMV and much more. Besides, it can capture the audio tracks including system and microphone sounds while recording the videos from Amazon. Not only this, it also allows you to select the capture area and set auto-recording task flexibly all according to your own needs. In addition to Amazon Instant Video, Joyoshare Screen Recorder also helps in recording other online video calls, gameplay, webinars, movies, etc. It's a great app being used to make video tutorials, record music, capture games, etc. Save Amazon videos in MP4, MPEG, SWF, FLV, WMV, etc. The first step is to download this powerful screen capture and install it on your PC. Then click the shortcut icon and it would automatically run on the computer. Decide the capture area by pressing the '+' button on the upper left corner. A pop up window will appear from which you can adjust the size that you want to capture. Moreover, the software also provides some ratios i.e. 320x240, 640x480, 1280x720 etc. In order to record the video with sound at the same time, it is important to choose the 'System Sound' or 'Microphone' for recording. Once you choose it, simply click the audio track icon next to the 'REC' button. Moreover, the software's audio supports all the popular output formats including MP3, AAC, MAV, FLAC, M4A and M4B. You can also click the "gear" icon at the right corner to adjust other recording parameters, including the output format, shortcuts, recording time, cursor effects, etc. The next step is the 'Dragging' one. 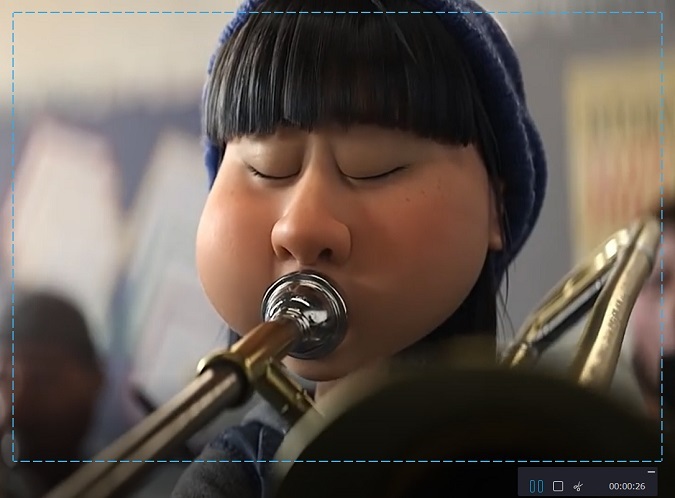 In order to personalize the recording area, open the Amazon Instant Video site and navigate to the video page where you want to capture the video. Then drag the recording window of Joyoshare Screen Recorder to the right place. After doing this, click 'REC' button to start the recording. You'll be provided with 3 seconds countdown so that you'll have the enough time to adjust the capture window again or get ready to play the Amazon video before the recording begins. When the recording is finished, click the stop button. 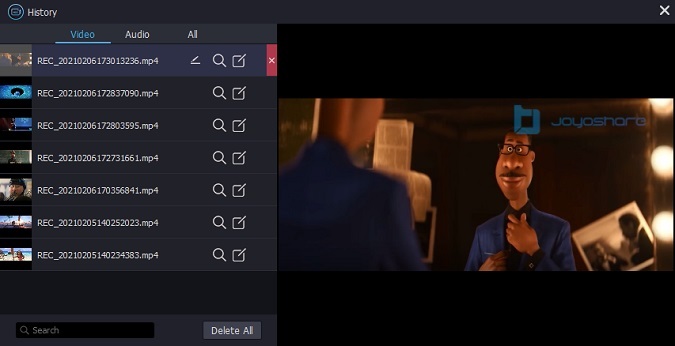 Then you'll find the recorded videos in the 'history" window. Moreover, you can edit the ID3 tags and titles there or delete those unwanted recordings. You can repeat the same process if you want to record any other videos from Amazon Instant Video. 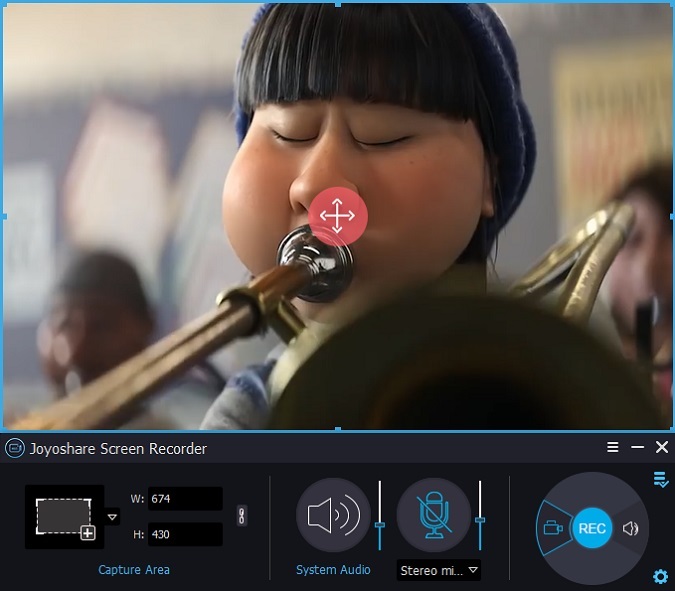 Note: The free trial version of Joyoshare Screen Recorder will add watermark to the captured videos. You can simply buy a license to unlock the limits if you want to enjoy the full features of this video recording software.